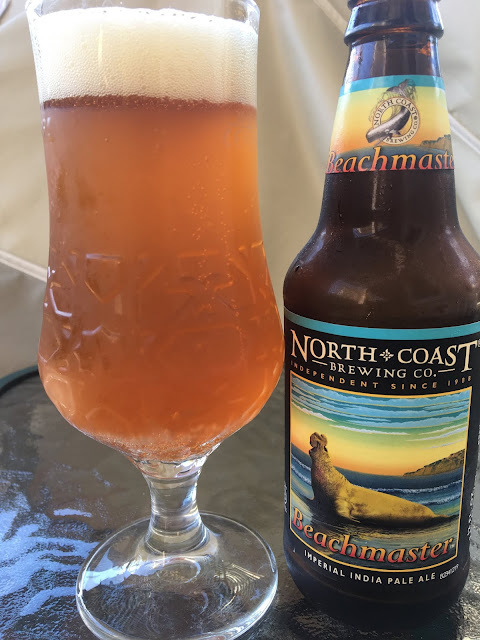 Today I'm checking out North Coast Brewing's Beachmaster Imperial IPA. The beer and label are a tribute to the Northern Elephant Seals that can be found on the coast near the brewery, with the label illustration done by Mike Patrick. 9.0% alcohol. Nice color! Beautiful fruity orange, jammy, tropical aroma! Lots of flavor too. Sweet and bitter. Citrus orange, juicy, spicy, piney. Rich with an excellent bitter bite. Delicious!